Michele Hauf has been writing romance, action-adventure and fantasy stories for over nineteen years. Her first published novel was DARK RAPTURE. In my world of Beautiful Creatures the vampires have some of the standard vamp foibles. They need to drink blood to survive. A stake through the heart can kill them. They don’t do sunlight (well, they can, but they get a nasty burn, and prolonged exposure to UV rays will fry them). They have great strength. They are immortal. But what are their weaknesses? Well, I like the idea of something that is irresistible to the vampire to also be a deadly craving. Take faery dust, or faery ichor, which is what runs through their veins. A vampire can easily become addicted to faery dust. One bite is as addictive as meth is to humans. So most vampires avoid faeries like the proverbial plague. Except my hero. He wasn’t looking to get high. He needed blood, ichor—anything—to regain his strength. And he got it, with the new addiction to dust. Now he craves it, and the heroine. Good, bad, or very dangerous? One commenter will win a digital copy of CRAVE THE NIGHT! Your vampires sound very interesting. I like the idea that they are effected by Fae products. I’d really like to see how one comes off the addiction. What a unique twist on a vampire story! I love it and can’t wait to read it! I love your books Michelle thank you for sharing today.I cant wait to read Crave The Night.Happy Holidays to you and yours . Oh wow all I can say is all those books sound amazing to read. I think I will be adding a few more to my wishlist. Really like the use of all of the different types of forms were, vamp or faery. I like that you’ve come up with a twist on vampire mythology. I love your stories Michele but have been looking for Her Vampire Husband for awhile. I would love to win Crave the Night. Thanks for the opportunity! I know I have a couple of your books at home, but I am not currently there to see which ones. I know I don’t have this new anthology though. Have a wonderful, safe New Year’s. may all of your dreams and wishes for the New Year come true. Michelle, I am a longtime fan. I have all of your nocturne romances. They have brought me hours of reading pleasure and imagination fuel. I recently received a Kindle, and am would love to have the new anthology Crave the Night to read on it. Have a safe and Happy New Year. Thank you for all your hard work, I definitely reap the rewards! 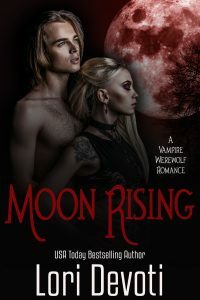 I love discovering new authors and new vampire tales. I can’t wait to discover yours! Your book sounds really good. Love the book cover. I love the idea that your vampires can get addicted to faery dust! What a great twist. I’d love to win your book, as well. sorry I’m so late to check in! Hope everyone had a great New Year’s Eve! Here’s to a super fab 2012. So enjoy your books. Keep them coming!!! Late to the party…I LOVE Michele’s books! Happy 2012!